Greg with the Pediment Exploration team in the field. 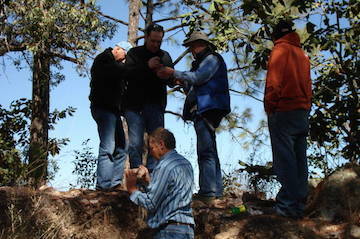 Greg with the geological team and Bob Moriarty of 321 Gold looking at the maps of a gold discovery in Mexico. 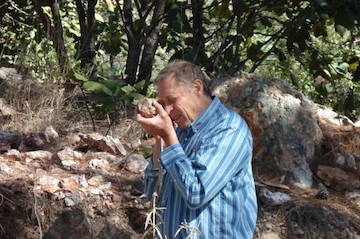 Head Pediment geologist Mel Herdrick looking at a rock with his eye piece for visable gold. Trenching for gold values to see if this area holds any promise. Greg and others using their eye pieces to look for visible gold in the surface rocks. 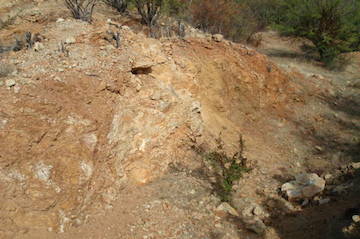 This area had quite a bit of visible gold and posed a geological puzzle as to why this was the case. Greg at a Pediment Exploration drill site in Mexico. 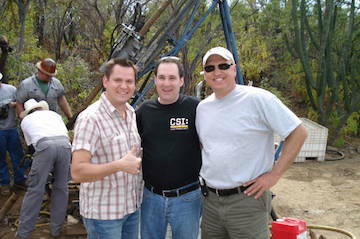 Greg with CEO Gary Freeman and his assistant Michael. 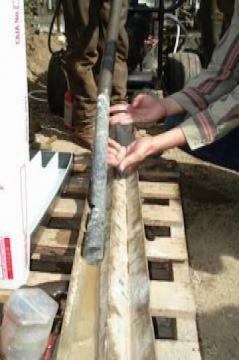 Watching the core being extracted from the drill pipe. Looking at the maps of another potential project for Pediment Exploration in the Sonoran desert. Mel, Greg and Bob in the field. 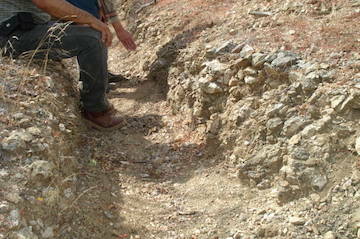 Great example on how much one can learn from a mineralized rock outcrop at the surface on a project in Mexico. Geologists can easily study this material which may indicate that something good is going on below the surface.